> sand and water more than those on the south face. > shafts and also the Main Entrance. > show a similar stain. > cement, he found a preserved worm in it. But a couple points. The rain comes from the north but the dust and sand come from the south. Sandstorms themselves have a significant southerly component. When the pyramid was built it was significantly wetter and more of the rain came from the east. Now little comes from the east. 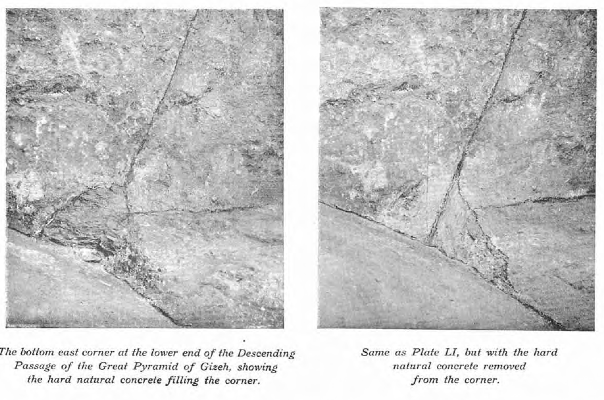 It should also be remembered that as the pyramid was under construction all of the air shafts were open to the outside. The kings shafts probably weren't left open after completion or there would be an accumulation of fine dust in horizontal segment of the shafts and then full all the way to the top.